two peas & the dog: social media. 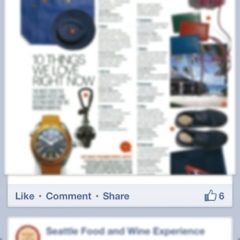 facebook rolls out share button on mobile. social media. facebook rolls out share button on mobile. It's about time. Now I can share all the lovely stuff I find on my news stream! Be sure you update your app. Let the sharing commence. Want to read more? Check out this article from Mashable: Facebook Rolls Out Share Button on Mobile Site.